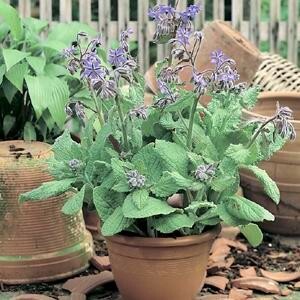 Also known as the “Herb of Gladness” Borage is widely used for fish and cheese dishes. Young leaves make excellent additions to salads. Borage tea can be made from the fresh Azure Blue flowers - boil the flowers in water for 10 minutes. However, Borage flowers lose their flavour if dried or frozen. Great for attracting bees to the garden if you have plants that require pollination. German chamomile is a sweet variety that has been used for centuries in teas as a mild, relaxing sleep aid. 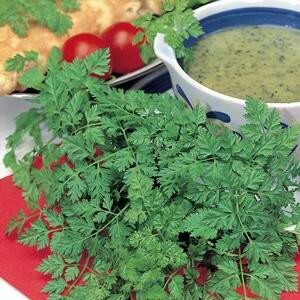 Finely cut Chervil leaves add a sensational subtle seasoning in fish, vegetable and cheese dishes. Very good for soups and herb butter. Add Chervil to dishes at the last moment of preparation to maximize anise taste - cooking / boiling the leaves will result in a very bland flavour. 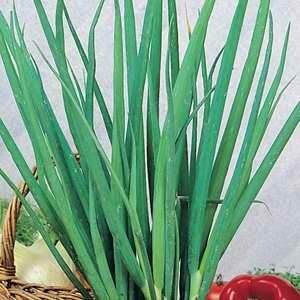 Mild onion flavoured leaves. 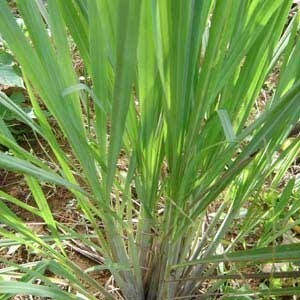 Cut regularly to ensure a supply of new young leaves. Lightly spread the seed directly in the area required. Plants will then grow together forming a tight "clump". A strong scent of garlic can be found in these popular herbs that are used for flavouring. Lightly spread the seed directly in the area required - plants will then grow together forming a tight "clump". Coriander has become increasingly popular in the past couple of years. 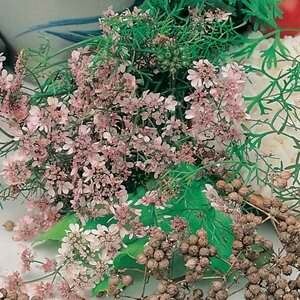 A fine and feathery herb of graceful pink flower umbels which in turn produce the valuable seed clusters. Harvest of individual leaves can begin as soon as the first mature leaves have developed. Very versatile, being used in cakes and breads through to curries and other meats. Finely cut lacy foliage makes a nice garnish. 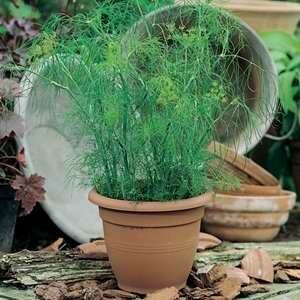 Bouquet is an early flowering selection with large seed umbels and foliage. A dwarf, compact and very ornamental plant that does not require staking. Traditionally used for perking up almost any soup, salad, or main dish. 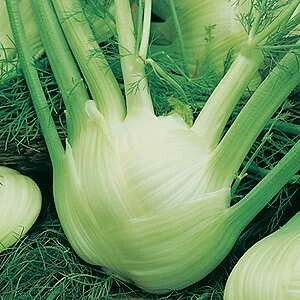 Florence Fennel, also known as finocchio, is an annual which is known mainly for the stem that swells to a "bulb" as it grows. An aromatic herb that grows to 3 feet tall. While it gives off a robust, lemon fragrance, its also well known for its anti-oxidants and anti-fungal properties.